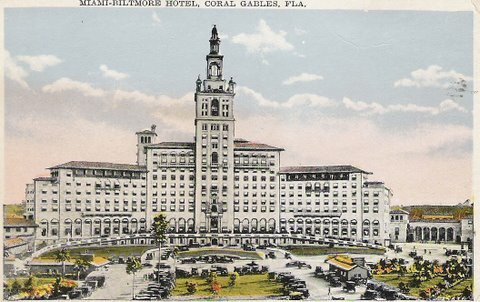 Oxford American’s fifth annual Best of the South issue includes my ode to Miami’s Biltmore Hotel, which I grew up thinking was haunted and later trespassed in to try to find out. 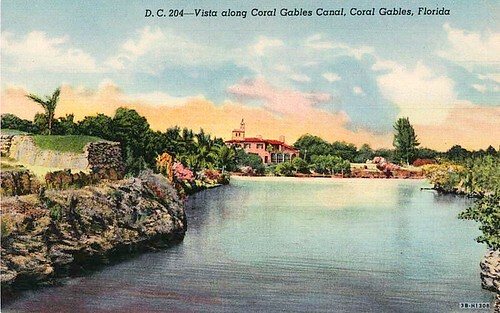 Obviously that’s the hotel, above, and here’s another old South Florida postcard showing a view of the canal. My childhood wasn’t all long afternoons of slow-flowing water and grand limestone sea-walls, but despite everything, I’ll always miss that house. Updated August 2013: Here’s the full piece; click for a larger image.